Your new go-to sweater for all your high waisted jeans, skirts, and leggings! 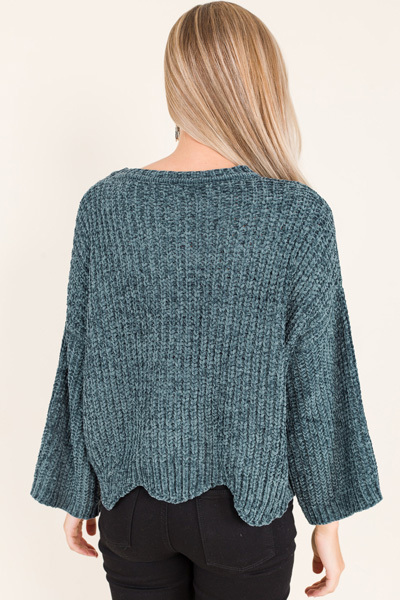 This chenille material is so super soft and stretchy that you'll never want to take it off. Scalloped hemline for some added femininity and a cropped length. Length measures approximately: S=20" M=22" L=24"